Palm City, April 12, 2018 – STS Component Solutions recently acquired its third LM6000PD Aeroderivative Gas Turbine engine. The asset is currently in Berlin, Germany awaiting inspection, complete disassembly, re-certification and finally resale into the aviation aftermarket. STS Component Solutions utilizes FAA, EASA & CAAC approved facilities to inspect, repair and overhaul aircraft and engine parts. This process helps ensure that every part sold is fully compliant with industry and regulatory standards. 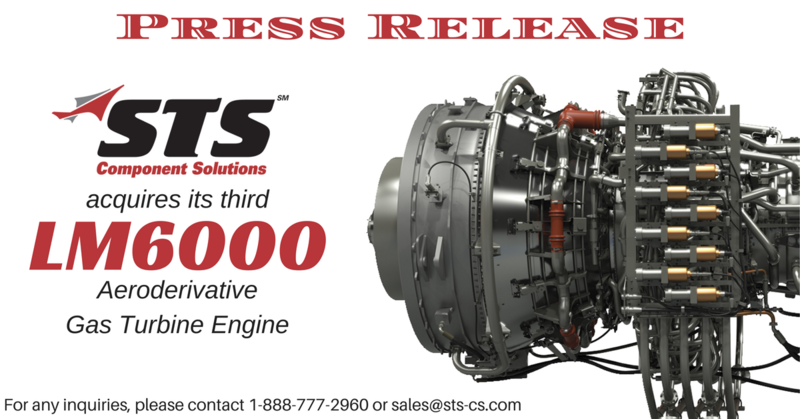 The STS Component Solutions team expects that inventory from the new LM6000 engine will be available for sale in the next few weeks. For any inquiries, please contact 1-888-777-2960 or sales@sts-cs.com. STS Component Solutions representatives are available 24/7/365 to assist with all of your aircraft and / or ground power engine parts requirements. Whether you’re looking for aviation mechanics, engineers, line maintenance support or the aircraft and engine components needed to keep you flying, STS Aviation Group dedicates itself to taking your business from where it is now to where it needs to be. To learn more about what makes us the company with “Solutions to Keep You Flying,” please visit our website or give us a call today at 1-800-800-2400.